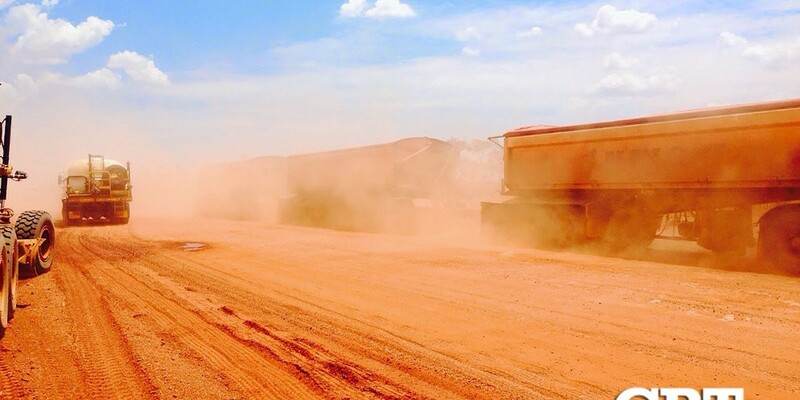 GRT Takes Aim At Dust-Filled Working Conditions – An Australian infrastructure company that specializes in the creation of ‘spray on’ roads, is calling on employers to be more proactive about dust management on work sites. Dust emissions can have extensive health, safety and environmental consequences, posing significant risks to onsite workers and businesses. Global Road Technology managing director Troy Adams said despite these consequences, it is concerning how little attention is paid to dust management. “Airborne dust particles can pass through the nasal passage and travel to the deepest regions of the lungs,” Mr Adams said. “When workers breathe in this dust over a prolonged period of time, it can cause a number of respiratory conditions, including breathing difficulties, respiratory pain, and diminished lung function. “It is estimated that about two million deaths per year are caused by work-related disease, with 160 million cases of non-fatal, work-related disease across the globe. “However, because these diseases often take several years to develop, both employers and regulators don’t take them as seriously as other workplace injuries. The UK’s Trades Union Congress (TUC) estimates that diseases caused by occupational health exposure, such as breathing in airborne dust, kills six times more employees than work-related accidents. In addition to impacting the health of workers, airborne dust can significantly reduce visibility on the road, increasing the risk of vehicle accidents. Mr Adams said managing dust emissions could be challenging for the mining, construction and supporting industries, as dust is inherent to many of industry’s essential operations and can be generated from a variety of sources. “Global Road Technology specialises in eliminating fugitive dust by applying a patented polymer solution to the surface of roads and paths. “Extensive studies from leading government agency Simtars have shown Global Road Technology products can reduce dust by up to 98 per cent. “Our technology cuts dust in 75 per cent less time than conventional methods, saving clients up to 37 per cent on road construction and maintenance costs,” Mr Adams said. “We have been working in communities across the world to deliver this innovative technology, including undertaking a number of projects in Asia and the Middle East. “We recently completed a project at the Napa Napa refinery in Papua New Guinea, where we were able to cut dust so that workers could remove their dust masks for the first time.